It doesn’t matter how groovy your glasses are if your prescription isn’t right. Or if you have an underlying condition that could be picked up in your exam – such as diabetes, high blood pressure, high cholesterol or neurological disorder – and it gets missed. 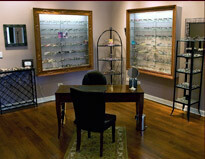 That’s why Urban Eyecare is dedicated to providing high-quality, full-service optical medical services. We take the time to explain any tests or procedures, review our findings, and match our recommendations to your lifestyle – including glasses, contacts, laser vision correction, and even solutions for computer-related vision problems.